RedLine, the nonprofit contemporary art center in Five Points, has a mission that's built on diversity and inclusion. And that means having leadership that mirrors its audience. "RedLine's board has evolved over time, based on our mission and values," says Executive Director Louise Martorano. "One of our values was to be community-oriented and reflect what our community wanted." That community is Denver's Five Points neighborhood. "We wanted our board to look like that community and be connected authentically to that community," says Martorano. "When we approach potential board members, people can come in through all different arms of the organization," she adds. "It's also something they're seeking." Take Dr. Paul Hamilton, a retired Denver Public Schools principal and former Colorado legislator who lives just east of Five Points in the Whittier neighborhood. Hamilton joined RedLine's board in 2016 and recently signed on for a second three-year term. "I connected with him through an open exhibition program. He has an amazing African art collection," says Martorano. "He has a long history of leadership in the neighborhood and the African-American community." 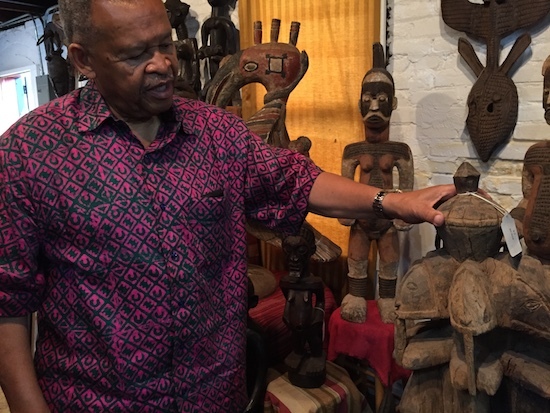 Hamilton's collection of more than 1,000 pieces of traditional African art "almost became a pop-up museum" in collaboration with RedLine, says Martorano. 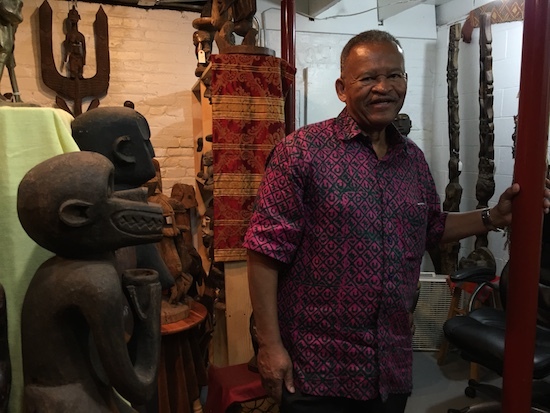 She describes him as one of "the keepers of culture in the neighborhood." But it wasn't just about art: There was also an alignment of values. "Our interest in social justice was in his wheelhouse," says Martorano. Hamilton had never served on a nonprofit's board prior to joining RedLine's. "I turned [Louise] down at first," he says. "She persisted." What changed his mind? "I saw there could be a benefit for me: learning about modern art," explains Hamilton. "I also liked their activism. I've always been a social activist." Diversity, equity and inclusion are critical in that regard, he adds. "When you're talking about social issues, you're talking about people of color particularly," says Hamilton. "When I got on their board, there were no people of color on their board." "I've always been a social activist," says Dr. Paul Hamilton. Now, he's a board member at RedLine. While serving on RedLine's board, Hamilton has focused primarily on the artist residency program. "We brought in the most diverse group they've ever had," he says. "If you don't have diversity in that group [that selects residents], chances are you're not going to have minorities and people who are out of the mainstream." He highlights recent RedLine resident artist Thomas "Detour" Evans, an African-American artist whose studio is in Five Points. "Thomas Evans has blown up internationally," says Hamilton. "He can't keep up with commissions." Bringing Hamilton onto the board "was thoughtful and intentional," says Martorano. "I see him as a mentor and a leader and someone who is making me better as a leader and making the organization better. . . . It wasn't about who but what the organization needed." "The whole equity conversation is something that's happening nationally," says Tariana Navas-Nieves, director of cultural affairs at Denver Arts & Venues, the city's arts and culture agency. Arts and culture "is certainly an area where a lot of work needs to happen." That's partly due to the fact that most funding goes to a few organizations. "In order to remain relevant, they need to look at how audiences are changing." Programming is one way to engage the community, but it isn't an end-all, be-all. "It's becoming very clear that isn't going to be enough," says Navas-Nieves. "To truly engage diverse communities, they have to reflect that demographic." That starts at the top. "The majority of leadership is still white men," she notes. "A board that lacks diversity, that is homogeneous, may miss on a broader perspective to understand our changing environments, may miss on developing creative solutions to new challenges and may miss on understanding and planning effectively to engage communities served by the organization." "You have to be very blunt and very clear that you are going to be committed to equity as an organization," says Tariana Navas-Nieves, director of cultural affairs for Denver Arts & Venues. Navas-Nieves continues, "While there has been a lot of emphasis on board diversity in recent years, unfortunately reports show that diversity has actually declined on nonprofit boards. A lot of important voices do not get invited to the table." The numbers don't lie. A national study by BoardSource published in 2017 found that only 16 percent of nonprofit board members were non-white, versus 39 percent of the U.S. population. That dovetails into local perception: A 2017 Denver Arts & Venues survey found the city's Latino and African-American residents were less likely than the rest of the population to believe that people like them worked in the arts or other creative industries. "Bringing in a diverse board is a big step, but it can't happen in a vacuum. This is really about changing a culture of an organization internally," Navas-Nieves says. "There's diversity and there's inclusiveness. For a long time, it was about checking a box. They actually have to bring diverse perspectives to the table. It's a bigger commitment than bringing people of color to your board." It's not just about diversity; a culture of inclusion is the ultimate goal. "Diversity is about bringing those voices to the table, and inclusion is about creating an environment where multiple viewpoints and perspectives are invited and respected," says Navas-Nieves, recommending that multiple people from underrepresented groups be brought on together to help foment such a change. "As a person of color for example, it is not easy to be the 'only' one. I've been there and it is not fun." It can be a bit like turning a battleship of time-tested processes and procedures, she adds. "A lot of organizations want to do the right thing, but they don't know where to start." Navas-Nieves says the first step is outreach. "One of the biggest challenges I hear is not knowing where to find diverse board members," she explains. "They aren't looking in the right places. They need to focus on building relationships and networking consistently beyond their existing networks to find new talent. If you want to find someone who is from the Latino or LGBTQ community to serve on the board, reach out to organizations who already serve that demographic." Secondly, she says, "There needs to be intentionality. You have to be very blunt and very clear that you are going to be committed to equity as an organization." That might mean starting from scratch: "Go back to your mission statement." 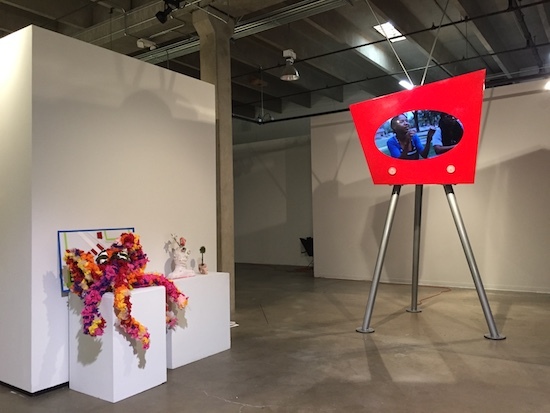 Navas-Nieves highlights RedLine along with Access Gallery, Su Teatro, Cleo Parker Robinson Dance and the Aurora Cultural Arts District as local models. "I always see this as a journey. Some organizations are way ahead and some are just starting. Some are challenged with how to start." Her advice: "Analyze your board demographics and whether your board is demographically representative of the community you engage: If you're engaging a majority African-American community, are at least half your board members African Americans?" She also advises potential board members from overrepresented groups to take a step back before accepting an appointment. "If you're a man, and the board is 90 percent men, perhaps don't join this board," she adds. "Recommend others. Show your support through donations and volunteering, and tell them why you've made this decision." Parallel to change in the nonprofit realm, many local governments are taking a more proactive approach. "There's a movement to go to very specific diversity goals tied to funding," says Navas-Nieves. New York City is "shifting the culture by expecting accountability from arts organizations" and building equity requirements into funding mechanisms. "That is a pretty bold move." It's one she agrees with wholeheartedly. "Make a strong statement. If you are receiving public funding, you need to reflect that you are committed to all communities." Dr. Patricia Baca, a longtime Denver Public Schools leader, has served on the boards of local arts and culture nonprofits since the 1970s, including the Denver Art Museum, Denver Center for the Performing Arts and Denver Film Society. 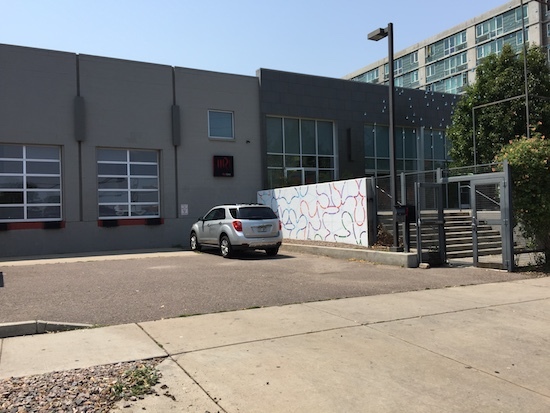 Located at 23rd and Arapahoe streets, RedLine serves diverse communities. It wants to make sure its own neighborhood is not overlooked. Baca sees a big change since her first experiences on boards. "More often than not, I would be the first person of color in the room," she says. "The main difference between the '70s and the '80s is now it's intentional," continues Baca. "Because it's intentional, the efforts are more organized. There's a greater understanding of the changing demographics. We're becoming more diverse, which is reflected in our city." She says the push for diversity, equity and inclusion began at the Denver Art Museum in the 1990s. "The effort over the years has done very well," says Baca. Día del Niño is a prime example, "a celebration of children" launched at DAM about 20 years ago and is now also takes place at the the Denver Museum of Nature and Science, Denver Botanic Gardens and other cultural institutions. "They bring in families to engage in activities," says Baca. "Part of it is opening the door. . . . All of those institutions are all of ours. That says, 'You're welcome here and we want you to come back.'" That goes not just for museums and theaters, but boardrooms as well. The key is "identifying and preparing people for boards," says Baca. "The other part is to share best practices from the various culturals that are working towards community engagement." In July 2018, Baca engaged her peers in a broader effort in conjunction with Western States Arts Federation (WESTAF). "I recently brought together people of color who sit on Tier 1 boards," she says. The goal? "Building a pipeline of people of color to sit on boards." Baca says the first meeting was a success, and the group is planning to meet every other month. Baca is also active with the Latino Leadership Institute in Denver. "One of the things we work on is preparing people there to be ready to sit on boards," she says. "There's a need to identify particular skill sets and also identify people's areas of interest." After retiring from corporate America in 2009, Tina Walls has invested herself in philanthropy and culture in Denver. She currently serves on the board of the Denver Center for the Performing Arts and previously served on the MCA Denver board. Walls also recently worked with other local African-American leaders to create the Biennial of the Americas' Black Americas Project. "First, I believe the arts is one of the most powerful platforms to bring people together to listen to each other, learn from each other, and share with each other," says Walls on the importance of the arts. "Second, arts education is critical to preparing young people to thrive in the creative economy of the 21st century. The arts can help strengthen the social and economic viability of our community through an intentional invitation to participate to the entire community." Walls says it's critical that modern arts organizations embed diversity into their programming, leadership and staff. 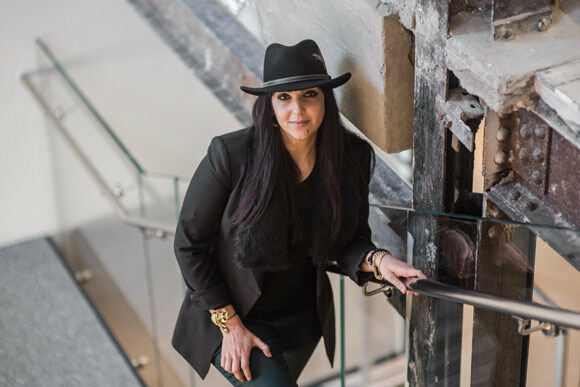 "Strong, passionate and confident organizations always adjust, adapt and realign," she says. The dialogue needs to ask "the big questions," she adds: "What is the current and future demographic profile of your community? What are the gaps between the current and future population and our current and hoped for patrons? What are the long-term aspirations and goals of your organization?" Another one: "Is diversity and inclusion just about the board, or is it about the overall mission of the organization -- what's offered, who is invited to participate in what you do, who is in your organization to deliver on your mission?" "The key is to explore these questions with those we serve and those we hope to serve," says Walls. "My hope is that, because of these conversations, we will bring back arts education as an essential part of the curriculum in every school and help prepare our young people to thrive in the creative economy of the 21st century." Martorano says building principles of diversity, equity and inclusion at RedLine "has been a very organic process." Part of it is looking right out of the front door. "The Five Points neighborhood represents a bunch of different communities and we need to recruit from those communities," she says. RedLine Executive Director Louise Martorano says of Hamilton: "He has a long history of leadership in the neighborhood and the African-American community." But it's also about having the right skill set. "We're not throwing people into the organization so it looks a certain way," says Martorano. "We want to make sure it makes sense." Hamilton says there's a perception that board membership is tied to being a donor. "If they understand there's more ways to contribute, that really helps get people interested," he explains. "I felt I could make a contribution and not just be a token person." Since joining RedLine's board, Hamilton has taken the opportunity to coach people from underrepresented groups to join him. "There's more conversation on the board itself about those kind of things," says Hamilton. That sort of intentionality lets "people know that they're wanted, so you build the capacity for candidates to do well." He adds, "If you wait until there's an opening, you're in trouble. You have to have this as part of your process to be building a pipeline."